"We recently had the pleasure of working with Cathy and her team when we sold our home. Cathy is extremely knowledgeable, professional and helpful. She went above and beyond what is normally expected of a realtor. We highly recommend both Cathy and her team." 07/13/2017 – Help me sell my home Cathy was a fantastic partner in our home sale and purchase. Her experience and expertise are top-notch. 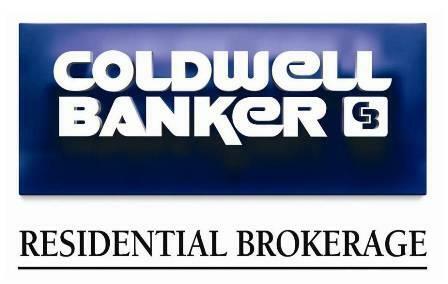 You will be hard-pressed to find a better agent. We recommend her enthusiastically! 11/13/2017 – Helped me Sell my home From the first day that I met Cathy, I knew that she was going to be professional, knowledgeable and trustworthy. She maintained such patience with the sale of my home as it was a "special" circumstance. I wouldn't hesitate to recommend her as your real estate agent! Highly likely to recommend Sold a Single Family home in 2018 in Yorktown Heights, NY. I engaged Cathy as my agent within minutes of meeting her and I am generally not a decisive person. It was the best decision ever! Cathy's knowledge, her professionalism and preparedness were evident right from the start but more so was her warmth and empathy. She guided me patiently through an emotionally difficult process. Her availability and responsiveness were immediate. She was on top of things every step of the way. Her assistant Amber was incredibly patient and a great support. Not only does Cathy know how to sell homes, she knows people. I cannot have recommended her highly enough! Highly likely to recommend Sold a Single Family home in 2017 in Mahopac, NY. Cathy is extremely good at what she does. She manages to balance being a tough negotiator and caring to her clients. She understands the market, understands the buyer and understands the seller. We had a challenging property to sell, and she sold it with ease. Highly likely to recommend Bought a Single Family home in 2017 in Cortlandt Manor, NY. Cathy was exceptionally responsive and helpful when dealing with our difficult closing situation. She often moved around her schedule to accommodate us when we needed her attention most. Even when it was not her responsibility, she was always seeking out ways to help us. Her knowledge of the area was very important to us when looking to buy a house. She did the proper research and assured us we were making a smart financial decision. We enjoyed working with her every step of the way. 07/13/2017 - Helped me sell my home She is simply the best in the area. Cathy and her team navigated us through a complicated process with professionalism and ease, selling our house extremely quickly. She is in constant communication with her clients and always available. We would highly recommend Cathy! 07/27/2017 - Helped me sell my home This review is long overdue. I have twice had to sell houses during a ridiculously long divorce (2013, 2016) I had taken a hiatus from real estate to focus on home transitions - that's right - I'm a broker. I needed to bring another broker in to sell my home because I simply could not focus on it at the time. Cathy is a colleague from another office. As a fellow broker, I know more than a few agents, needless to say. Cathy will always be my "go to". Period. She navigated the path of troubled divorce waters with empathy, understanding, and patience while keeping focus on the task at hand. She has always delivered. Our first house was a high-end home on the market with many others during a slump in the high end. Houses in my same neighborhood were sitting for over a year to ultimately take a bath from their original purchase price. She sold our house in 4 months. Ditto the second house. All the while other houses sat still. I hold a great deal of respect for Cathy. How she puts up with me is beyond reason, but she troops - and delivers - every time. Thanks, Cathy. 11/13/2017 – Helped me sell my home Cathy Duff-Poritzky is an excellent agent ! Her team Amber and Ana are fantastic as well. We received extraordinary guidance, support and full attention to help sell our home at the best price. She is the ultimate agent of choice. Her personality, style and professionalism is impeccable. No agent I've encountered stands even close to her capabilities. 5/12/18 - Helped me sell my homeCathy exceeded my expectations. She is extremely knowledgeable, reliable and helpful. She was able to get multiple offers for my home within days! She explained the process, guided me and was readily available whenever I contacted her. She always kept me posted! Do not hesitate to buy or sell your home with Cathy. You will never regret it. She will go above and beyond! Highly likely to recommend Sold a Single Family home in 2018 in Yorktown Heights, NY. When we decided to sell our family home of more than 48 years, it was important for us to hire a realtor who is knowledgeable, professional and experienced. We interviewed and hired Cathy Duff-Poritzky because she is extremely knowledgeable in our local market and very experienced selling home just like ours. We could tell that the sale of our home was just as important to her as it was for us. Cathy did a lot to help us to prepare our home for sale. She guided us to very professional contractors who did a great job. She also, created a time line for us to follow, which was easy to understand, and she helped us to stick to it. Cathy always kept us inform of events that lead to the sale of our home. She is the type of person that will go above and beyond for a client. Cathy did a great job selling our home. We will recommend Cathy Duff-Poritzky to our friends and neighbors that are either thinking of selling their home or buying a home. Highly likely to recommend Bought a Single Family home in 2018 in Yorktown Heights, Yorktown Heights, NY. Great customer service. Cathy and Debbie go above and beyond for their clientele. I would recommend them always to friends and family. Looking forward to our future in our new home! Highly likely to recommend Sold a Single Family home in 2017 in Yorktown Heights, NY. Cathy is an excellent realtor. If you are selling or buying in or around Yorktown Heights, there is no better. Cathy was extremely responsive and very helpful in resolving open issues with the Town of Yorktown. Cathy's assistant, Amber, was always available and very helpful. They are a top-notch team.